Are genes related to heart disease also associated with preeclampsia? Women with a history of preeclampsia are at a two-to-eight times increased risk of cardiovascular disease (CVD) later in life, however, it isn’t fully understood if preeclampsia causes CVD or if the conditions share common risk factors. A major study from a dedicated group of researchers advances our understanding of the shared genetics of preeclampsia and heart disease. This study, published in Circulation, demonstrates that gene variants related to some types of heart disease, such as idiopathic and peripartum cardiomyopathy, are also associated with preeclampsia. Peripartum cardiomyopathy, also known as postpartum cardiomyopathy, is an uncommon form of heart failure that happens during the last month of pregnancy or up to five months after giving birth. Cardiomyopathy literally means disease of the heart muscle. Titled “Preeclampsia and Cardiomyopathy: Shared Genetics?” this is the largest whole exome sequencing study done on a preeclampsia population. Researchers studied the DNA samples of 181 women with a history of preeclampsia through The Preeclampsia Registry™. They conducted DNA sequencing on the samples, looked at variants in 43 genes known to be associated with cardiomyopathy, and examined the resulting data. The results from The Preeclampsia Registry participants were compared with known results from two control, or comparison, groups. The study found that women with a history of preeclampsia were significantly more likely to carry a gene variant related to cardiomyopathy than those in the control groups. Different types of variants were examined and reported in the study. For example, when looking at the prevalence of TTN gene-related rare damaging missense variants, these variants were present in 68% of the women with confirmed preeclampsia. This is significantly higher than the control groups that presented 47% and 49% prevalence. For this subgroup of women, this study suggests a correlation of shared risk factors. Interestingly, the study found that preeclampsia subjects with a cardiomyopathy genetic variant tended to have later onset preeclampsia. Any first-to-publish research like this study needs further validation. These findings have the potential to better determine a woman’s risk for heart disease after preeclampsia, and may also inform future studies that seek to define and predict both preeclampsia and heart disease. More research and an improved understanding of the relationship between preeclampsia and heart disease can also influence care during and after pregnancy, and ultimately, improve cardiovascular health for women. “Participants in The Preeclampsia Registry are admirably committed to improving preeclampsia outcomes. Their dedication made this study possible and provided insights into preeclampsia and cardiomyopathy genetics that will inform future research with implications for understanding preeclampsia, as well as long-term maternal health,” said co-author Hilary Gammill, MD, a Maternal-Fetal Medicine physician-scientist, Associate Professor at the University of Washington, and co-chair of the Scientific Advisory Council for The Preeclampsia Registry. The first of its kind to focus solely on hypertensive disorders of pregnancy, The Preeclampsia Registry captures self-reported and clinical information (medical records) from preeclampsia survivors and off-springs, as well as their family and pregnancy histories, and DNA. It is overseen by an Institutional Review Board and ensures participants’ privacy and rights in medical research. Launched in 2013, The Preeclampsia Registry currently includes more than 4,000 participants from every state in the nation as well as 67 countries around the world. Funding for this study was generously provided by the Peter Joseph Pappas Research Grants program through the Preeclampsia Foundation, Taueret Laboratories, LLC, and the Community Foundation for Brevard. The study has been funded to be open access as part of our research philosophy to freely share research findings. Contact circulation@preeclampsia.org for more information or to request the full study manuscript. 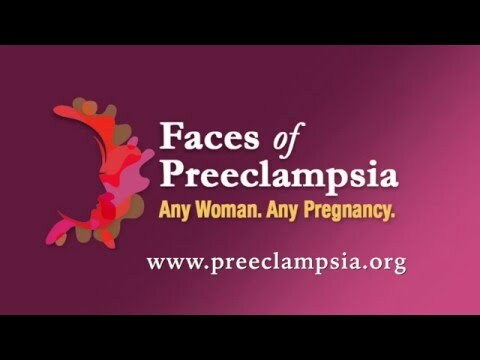 For information on The Preeclampsia Registry, visit www.preeclampsiaregistry.org.